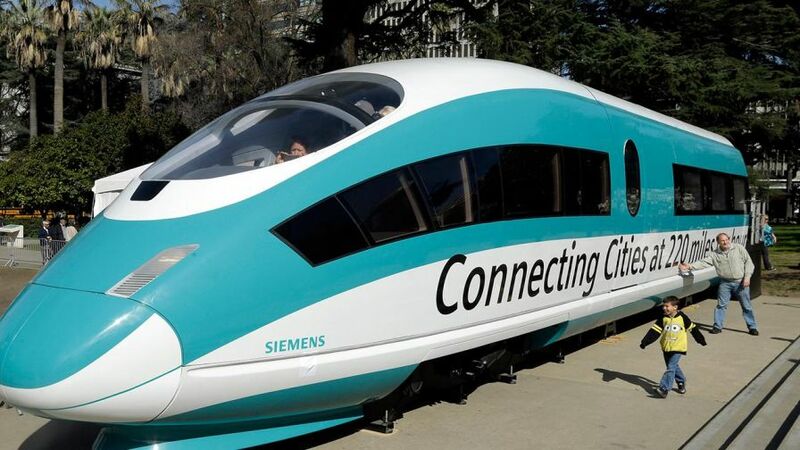 New reports reveal California’s bullet train construction project is costing $2.8 billion more than anticipated. What’s happening now and what it could mean in the future. It’s billions of dollars over budget and seven years behind schedule, and appears to have no plausible way of living up to its goal of getting riders across the state in three hours or less. Welcome to what’s arguably the nation’s largest infrastructure project and California’s biggest boondoggle. The highly hyped bullet train has been a challenge from the start. No one thought it would be technically, financially and politically easy, but the way the project has been mishandled has some Californians fed up and demanding answers. Just this week, the California High-Speed Rail Authority, the organization charged with overseeing construction, reported that the cost of the first segment had dramatically risen – again. “The worst-case scenario has happened,” admitted Roy Hill, lead consultant on the project. Since its start, this hot-mess express of a project has been plagued by delays and has blown through every single budget estimate imaginable. And it’ll likely cost the state and taxpayers more in the coming months and years. This week’s updated cost estimate — to complete just the first phase – a 119-mile segment in the Central Valley – has ballooned to $10.6 billion. That’s a jaw-dropping 77 percent increase from initial estimates, 36 percent higher than forecasts from a year ago. When California voters in 2008 narrowly approved $10 billion in bond as seed money for the high-speed rail development, they were told the total cost would be about $43 billion. Fresh estimates put it now at $67 billion. Other supporters reason that the project should continue because billions of dollars have already been spent. Critics, however, say the state should cut its losses and call it a day. “The money is already wasted. There’s no way to unwaste it,” James Moore, director of the transportation engineering program at the University of Southern California, told Fox News. He described ridership forecasts as “fictional” and said the idea behind the state bullet train lacks logic. “If you build a mode that is slower than an aircraft and costlier than gas, people aren’t going to ride it,” he said. He also said that by the time the train is up and running – sometime around 2025 – it will be outdated. The four leading Democratic candidates for governor in California have offered various levels of support for the rail project. The Los Angeles Times says current Lt. Gov. Gavin Newsom — the frontrunner in the gubernatorial race — has dodged repeated requests for interviews on the bullet train for more than two years. Newsom’s office also did not return multiple calls from Fox News seeking comment. Last February, California’s House asked the administration to block a pending federal grant until an audit of the project’s finances is completed. The letter was signed by all 14 members of the state’s Republican delegation and was sent to Transportation Secretary Elaine Chao. As of now, there’s been no movement on the request.